Remember that BBC2 series on Alternative Medicine, shown in February 2006? Given the superb standards of many BBC science programmes, this series was certainly very disappointing, for the reasons, for the reasons listed in detail here. At the time, my own complaints to the BBC got nowhere at all. The series producer came to see me, but remained adamant that the presentation of evidence had been fair. Simon Singh’s excellent critiques in the Telegraph and the Guardian got some good publicity, but no retraction from the BBC. On the contrary, a letter was sent to the Guardian, apparently signed by scientists who were involved in making the programme. I discovered that this letter had been written by the BBC itself, and had not even been seen by some of the people whose names appeared at the bottom. 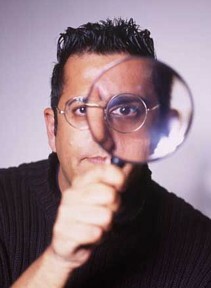 Simon Singh also lodged a complaint to the BBC, which was rejected. But he is made of sterner stuff than most people. He appealed, but again the complaint was rejected. Singh then appealed to the highest level (Board of Trustees) and at last the complaint was upheld. At least two of the most serious complaints were upheld. This is good news and we should all be grateful to Simon Singh for his persistence. Two of his three serious complaints were upheld, though seven “less serious” ones were not (but should have been). Read the full judgement of the BBC Trustees. Let’s hope lessons have been learned.